Clinical Support Technician II for Surgical Oncology/ENT Acute Care. On this unit you are able to utilize all of your NAII skills! Duties also include bathing, dressing, serving and collecting food trays, feeding patients requiring help, ambulating patients, turning patients, changing linens, running errands, directing visitors, answering patients' call bell system, maintaining patient charts and maintaining the confidentiality of all patient information. This 24-bed unit is located in a beautiful area located on 7th floor of Neuroscience Building. This unit cares for ENT and oncology patients including management of breast cancer, gastrointestinal cancer, endocrine cancer, melanoma, sarcoma and blood transfusions, antibiotic therapy, wound care and end of life care. We will provide you with the knowledge and training to provide quality surgical oncology care to this group of patients. Our goal is to ensure that excellent care is provided to both the patient and family throughout hospitalization while promoting a relaxing environment. This position is 36 hours/week; rotating to days, nights and weekends working 12 hour shifts (7a-7:30p and 7p-7:30a). This position qualifies for an extensive benefit package including PTO hours accrued based on the number of hours hired to work. It also requires the ability to attend a week long orientation (8am-4:30pm) which is offered every two weeks. 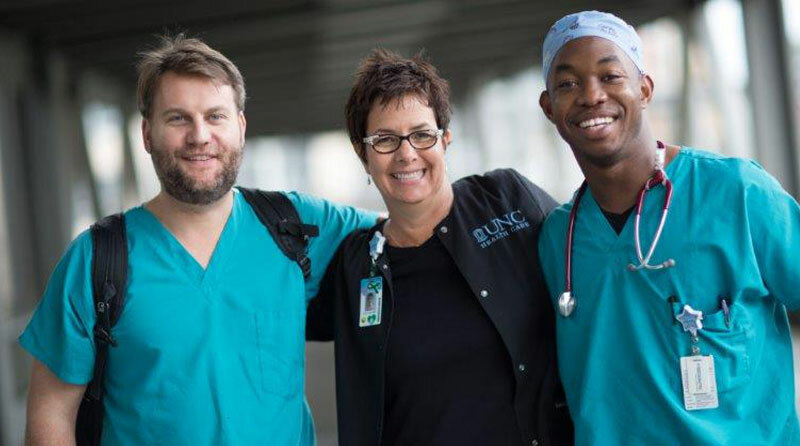 Requires high school diploma or GED, current N.C. listing as an NA I through the Department of Health and Human Services and NA II through the N.C. Board of Nursing and a current Healthcare Provider or BLS Provider certification. 6 months experience as an NA preferred. Must be fluent in verbal and written English language and have the capability to develop computer skills if not competent.